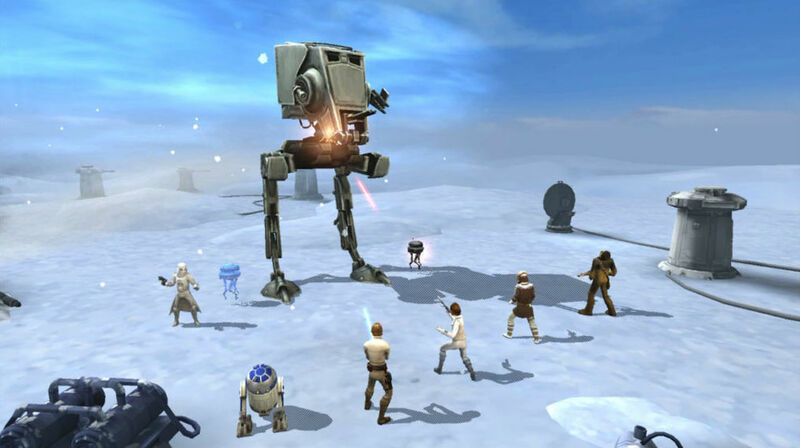 Today is a big day for Star Wars: Galaxy of Heroes players, with EA set to launch the new Territory Battles feature. If you play SWGOH, the introduction of this shouldn’t come as a surprise, since the developers have been hyping this for some time now. Regardless, it’s a major addition to the game, where you and your guildmates will use the entirety of your character and ship lineup to destroy enemies and gain awesome rewards. Speaking of rewards, let’s highlight those goodies first. Should you and your guild have the right amount of power to embark on such an objective, players can be rewarded with shards for three new characters: Rebel Officer Leia Organa, Hermit Yoda, and Captain Han Solo. If you thought rebel squads couldn’t get any stronger in this game, you thought wrong. To break down Territory Battles, you can sum it up with three distinct types of missions. There are combat missions, platoon missions, and special missions. Combat missions are the same as your standard holotable battles where you take your squad and attempt to beat waves of opponents that get stronger as the waves go on. For platoon missions, you dedicate characters to slots to fill the allotment of each platoon. During this, you can unlock abilities and buffs to be used for later battles. The last part is special missions. For new or improving players, this is where things get rough or essentially inaccessible. In here, you’ll need specific characters in order to participate in a battle. However, if you meet the requirements and complete the mission, you’ll get some of those special character shards. Here’s a full breakdown provided by the developers. Combat Missions – Players will create a squad of their choosing and battle through multiple waves of enemies. Platoon Missions – Players can utilize their expanded collection by dedicating characters to certain slots to fill the allotment of each platoon. In addition to earning Territory Points, players can unlock abilities or buffs to be used in subsequent territories by filling enough platoons. Special Missions – Similar to Combat Missions, Special Missions require specific characters in order to participate. Completing special missions will grant rare and unique rewards. You’ll find access to all of this starting today inside of your guild, so be sure to log in and take part in the craziness. Watch the LG V30 Unveiling Event Right Here Tonight!